 What is Eden Spiritual Care? In the Garden of Eden, people lived in intimate, harmonious relationship with God and with each other. This intimacy and harmony does not come naturally anymore. Yet Jesus invites us to pursue God's kingdom on earth. This pursuit of God's kingdom on earth is like a quest to bring back the intimacy and harmony of Eden. Eden Spiritual Care exists to support and encourage you on this journey. The mission of Eden Spiritual Care is to provide Christ-centered mentoring, guidance, and education that draws people into more intimate, harmonious relationship with God, with people, and with self. Sierra Neiman Westbrook is an adjunct professor in the College of Christian Studies at George Fox University in Newberg, Oregon. A graduate of George Fox Evangelical Seminary (now known as Portland Seminary), Sierra holds a Master of Divinity degree and a certificate in Spiritual Formation & Discipleship. She is also certified through Portland Seminary as a spiritual director. Sierra brings to her work a curiosity about how theology of lament, narrative pastoral care, and explorations in imago Dei theology can enrich a person’s relationship with God. She also enjoys hiking, watching ballet performances, baking, writing, drinking lots of tea, and trying new restaurants with her husband, Justin. Andrea Catlett is a former pastor and has served a wide variety of ministries. She has attended five Bible colleges and two Christian universities. Through her education and experience, she has found prayer to be her calling. A special needs mom, she currently serves as Colorado's Special Needs Facilitator for Mom's in Prayer. Andrea also serves as Eden Spiritual Care's vice chairperson. Paula J. Hampton has devoted many years to supporting Christian education as an editor of books, Bible studies, and devotionals for Barclay Press, and is now working as a freelance editor through Ankeny Editing. She practices self-care through quilting, reading, and baking. Justin Neiman Westbrook, Ph.D., is a Teaching Psychologist at the Internal Medicine Clinic at Legacy Emanuel Hospital in Portland, OR, who helps people with a range of mental health issues, as well as with issues in daily living, including spiritual concerns and self-care. Justin serves as Eden Spiritual Care's secretary/treasurer.